WYOU - Madison Community Television - WYOU.org: Democracy Now! Back on WYOU! Rerun again the following weekday at 4:00 am and 7:00 am. Several months ago, the equipment running our TV programming died. After a decade of continuous 24/7 use, this was not really too much of a surprise. The system was expensive. For us to replace it, the cost would have run into many thousands of dollars. Luckily for us, WORT--Madison's local community radio station--happened to have their own piece of television equipment that someone had donated to them. WORT had no real use for it so they were willing to give it to us in exchange for a digital video camera that former WYOU board member Glenn C. Reynolds generously donated to the cause. So we now had a new, much more reliable automator system running our programming. The only caveat was that this new piece of equipment was not set up to be able to receive a live feed from Free Speech TV and Democracy Now. To make a long story short, WYOU tech volunteer, Bryan Fay, spent many hours on the phone with the manufacturer, then writing his own program that would automatically air the Democracy Now show file each day after they made it available to us. 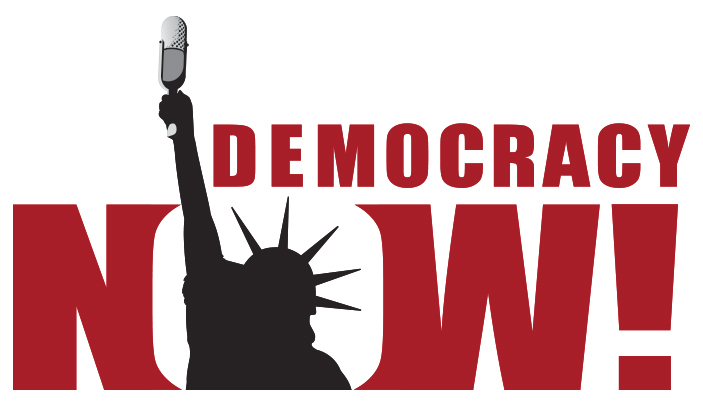 Bryan's program worked and Democracy Now is back on the air at WYOU! Thank you Bryan for all your dedicated hours of work! These programs are built on the philosophy that age is not a deterrent to being an active participant in a complex world.